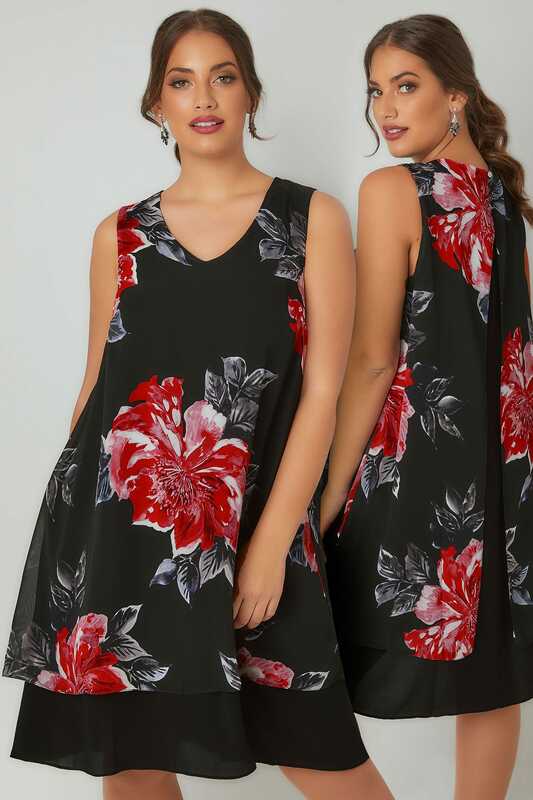 Front length from (approx): 102cm/40"
Back length from (approx): 106cm/42"
This stylish sleeveless dress is made from a textured crepe fabric that is designed to give a layered effect with split fabric to the back. 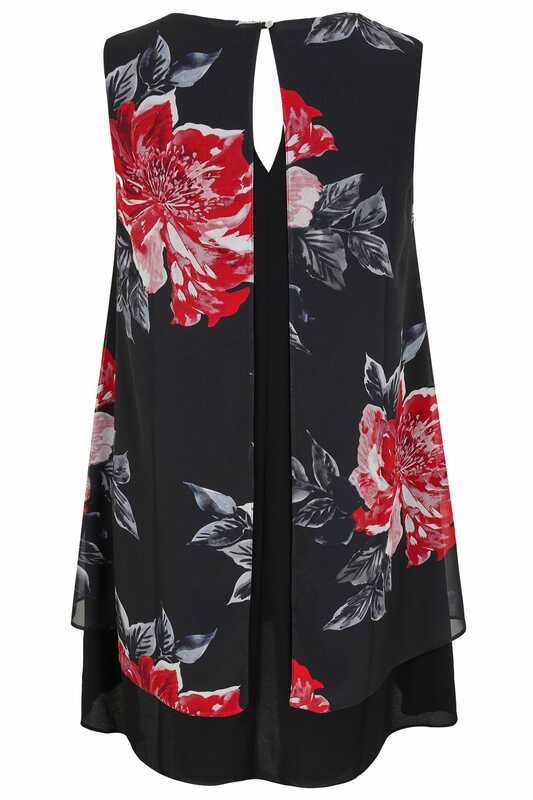 Team with court heels and a statement necklace for an on trend party look. 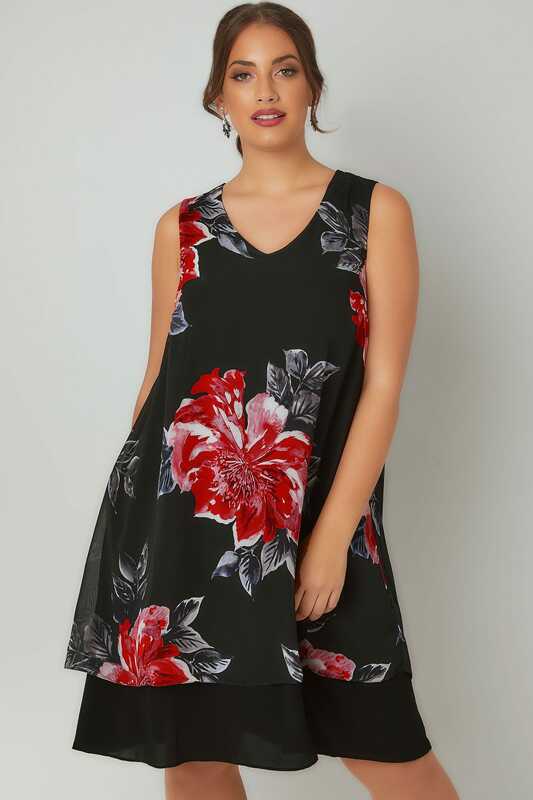 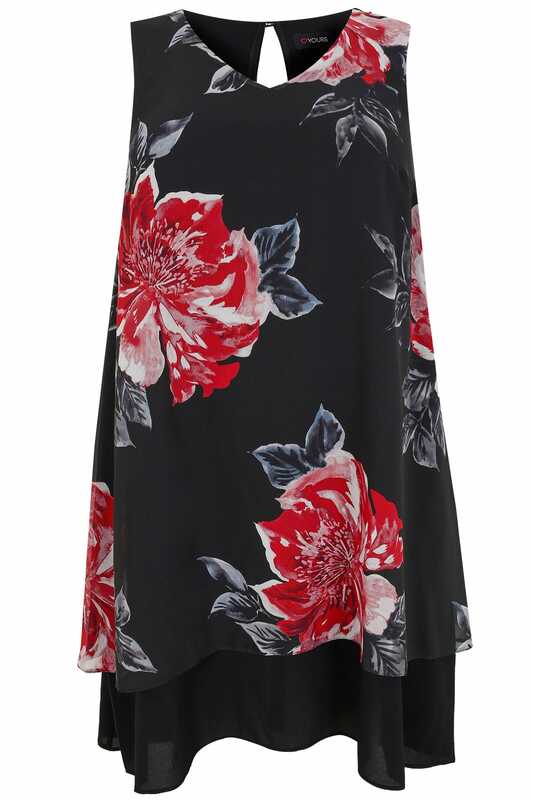 We love the black and red colour palette and the floral print.